Join us for an afternoon of art and inspiration at the Acrylic Dreams: Art Gallery event! Our amazing event leader Noor is a talented artist that has chosen to use her love of art to help those in need. 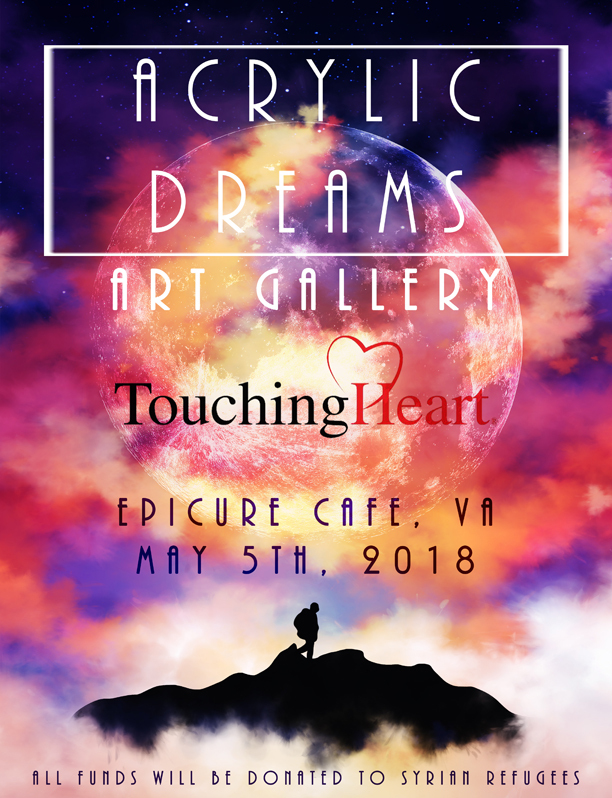 This event will be hosted Saturday May 5th, at Epicure Cafe in Fairfax. Funds raised will be used to help educate Syrian refugee children. RSVP for this fun night below! Please email info@touchingheart.com with questions or to volunteer at this event!